Today, you are a member of... Organized Sound - You Are A Member! For those members living in the US of A, the coming months promise that most spastic quadrennial ritual of high spin – an agressive, pre-electoral bludgeoning by images and narratives that have everything to do with the weakness of representation and almost nothing to do with political governance. Ergo, this week it’s high time for the lot of us to hop off the representational express. 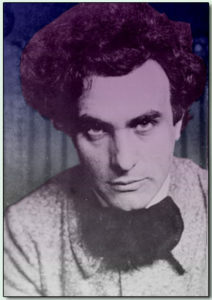 To accomplish such a feat (beside reading absolutely everything by Gilles Deleuze) one need only to listen to the life’s work of the man Henry Miller called “The Stratospheric Colossus of Sound” – Edgard Varese. With names like Poeme Electronique, Density, Hyperprism, Integrales, Ionisation, Nocturnal, Octandre, and Ecuatorial, Varese’s compositions are sound masses, a type of music that takes the sublime interaction of sound rather than listening conventions as their starting point. It’s about as far away as you can get from contrivances of sound bites, flags and balloons, and this week, the prime nonrepresentational way to get organized.